Lonavala is a hill station surrounded by green valleys in the Pune district of India. It is famous for the production of hard candy chikki. The Bhaja caves and the Karla caves are ancient Buddhist shrines carved out of the rock. Lonavala is a calm and quiet place which captivates tourists from all over India. Rajmachi Point, Tiger’s point, Karla caves, Bhushi Caves, Lonavala Lake, Valvan Dam, Kune Waterfalls, Della adventure, Celebrity Wax Museum, Lohagad Fort are the best attractions points in Lonavala. Moonsoon is the best season to visit in Lonavala. One can reach Lonavala through airways, roadways and railways. Lonavala does not have an airport. Lohegaon Airport, Pune and Mumbai Airport are the nearest airport which connects it to Lonavala. There are regular buses and trains to Lonavala from major cities of India. 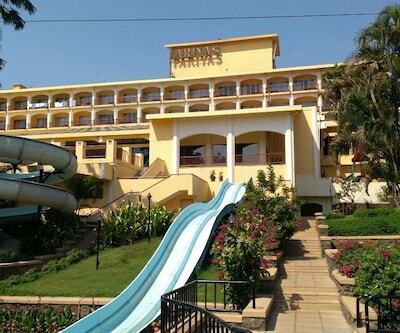 There are various luxury and budget hotels in Lonavala. Aamby Valley, della resorts and Villas, Fariyas Holiday resort, Amanzi- The Boutique Resort are one of the sumptuous and splendid five star hotels in Lonavala. Della Resort is one of the 5 star luxury resorts with 51spacious rooms along with Presidential Suite, Dellas Suites and 30 luxury air-conditioned tents. orchard resort, Citrus Hotel, whispering woods resort and the lagoona resort are one of the top and foremost four star Lonavala hotels. They are perfect hotels for leisure travellers and Businessman. In these hotels it is ensured that the guests are tremendously comfortable and well served by their staff members. revenir holidays, sai moreshwar resort, mount view resort, hotel aristro, Bijis Hill Retreat, Retreat Heritage are one of the outstanding and well known three star hotels in Lonavala which provide good services and comfort. hotel dreamland, Hotel Chandralok, Kings Inn Holiday Home, hotel rajdhani and star regency are one of the best budget Lonavala hotels.